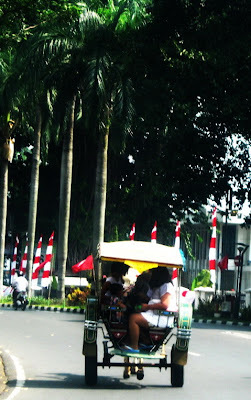 Almost a week after Indonesia Independence day (August 17th), our national flags are still flying, waving and displayed. Here are some of them. 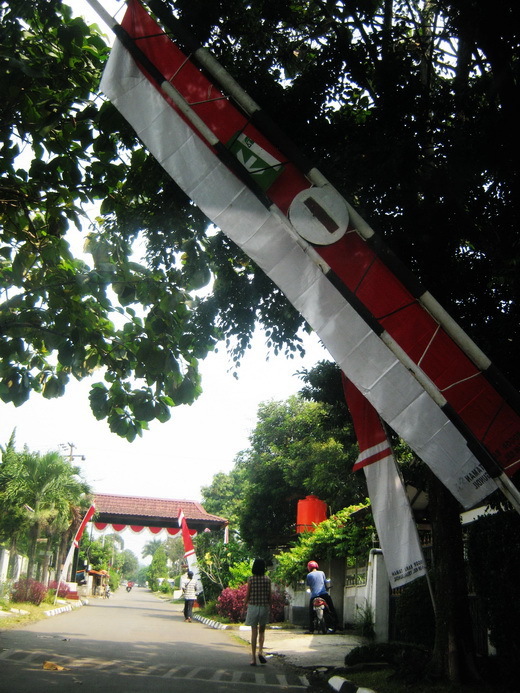 First pic was captured at the entrance of the housing that we live, and the second pic was a walking two-wheeled buggy with the flag banners as the background.